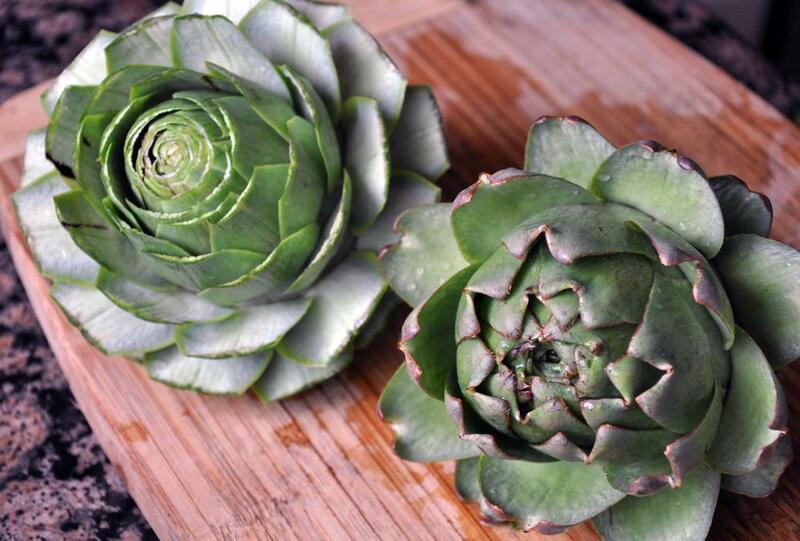 To prepare the artichokes, bring a large pot of water with the lemon slices to a boil (this minimizes browning of the artichoke). 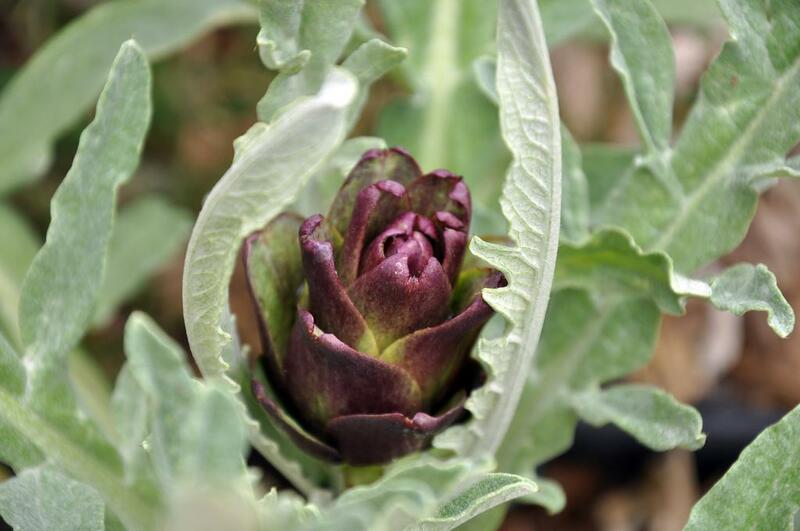 Meanwhile, wash artichokes thoroughly and trim the spiky ends off the leaves with scissors. Cut in half and scoop out the "hairy" part of the heart.Trim the spiky parts of the leaves with scissors. See the left artichokes leaves are trimmed. 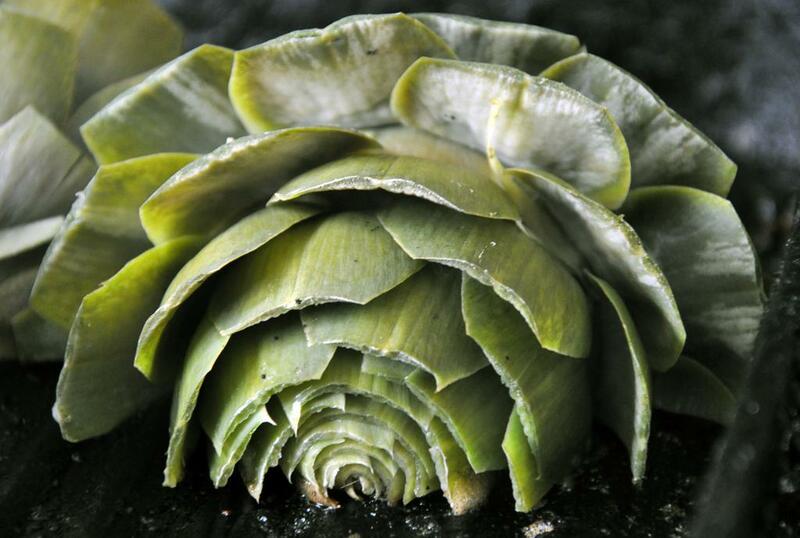 The spikes are inedible.You also want to spoon out the hairy part of the artichoke heart. 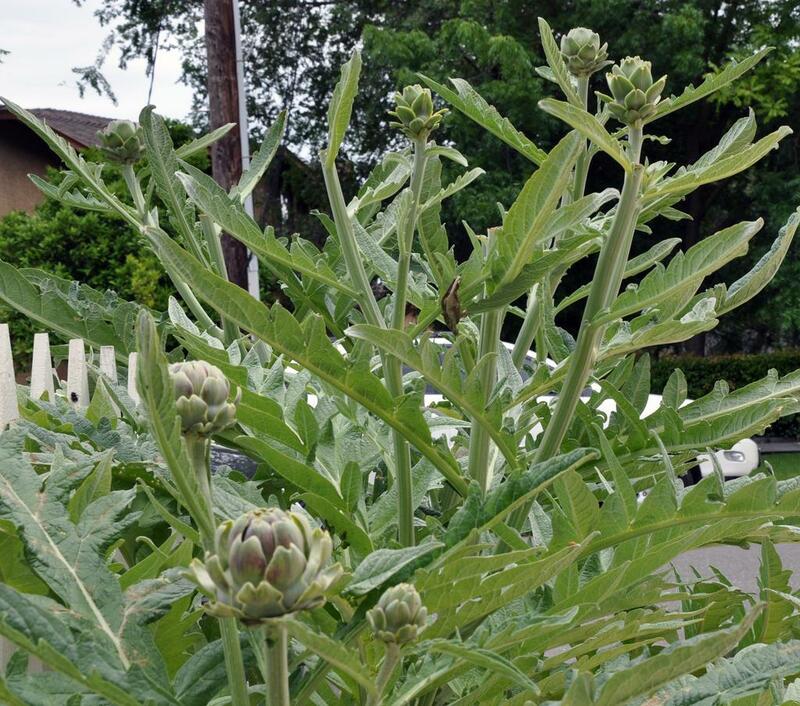 Notice the difference with the hairy part removed from the artichoke half on the right. Put the artichokes in the boiling water, cover and let cook 15 minutes. 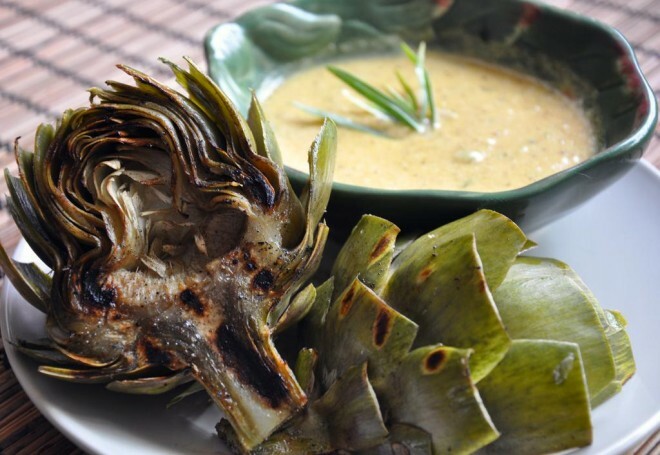 At the 7-8 minute mark, heat up your grill or grill pan so it's hot when the artichokes are done boiling. Meanwhile, make the lemony dipping sauce by putting the lemon juice, butter, mustard, garlic, SnP and tarragon, if using, in a microwave-safe bowl and heat in the microwave for 30 seconds. After each 10 second interval, stir the sauce to encourage the butter to melt evenly and not burn. Set sauce aside. 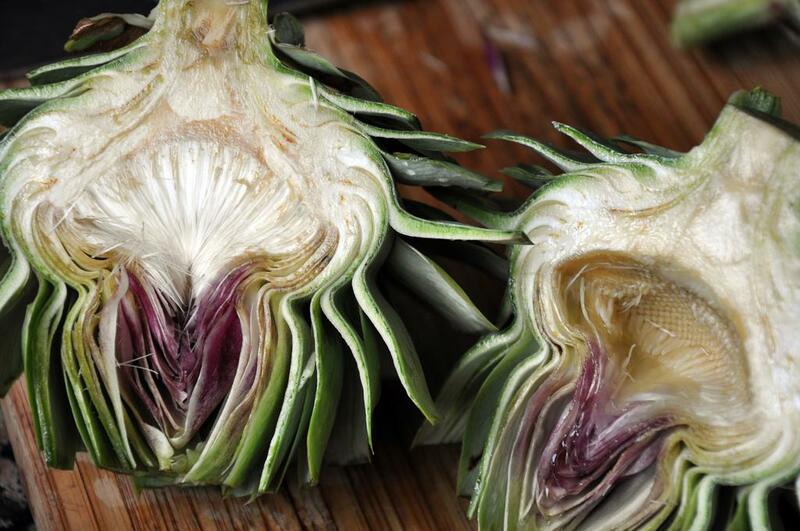 When artichokes are done, drain them. Lightly brush with EVOO and place, cut side down, on the hot grill pan. Grill for 5 minutes, then turn and grill 3 minutes on the other side. Serve with dipping sauce.